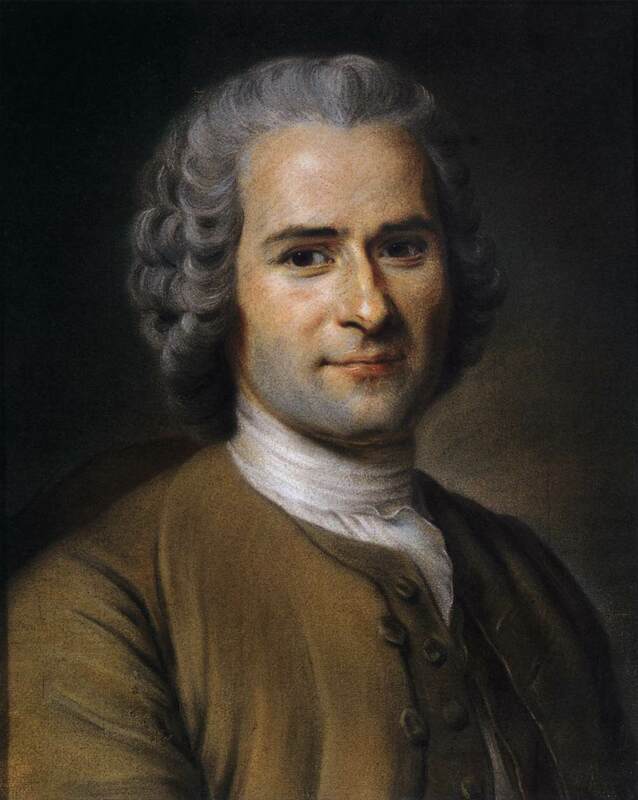 Whole Dude – Whole Equality: Jean Jacques Rousseau, Swiss-French philosopher, writer, and political theorist was one of the great figures of the French Enlightenment and he continues to inspire the Romantic generation. Jean Jacques Rousseau(b. June 28, 1712 Geneva, Switzerland – d. July 2, 1778 France) was one of the great figures of the French Enlightenment and he had shaped 19th-century Romanticism. Enlightenment is the term for the rational, liberal, humanitarian, and scientific trend of 18th century Western thought. During 17th century, Empiricism of Francis Bacon, John Locke, and others fostered the belief in “Natural Law”, Natural or Universal Order, promoted a scientific approach to political and social issues. It gave rise to a sense of human progress, and State is viewed as its rational instrument. Other representatives of the Enlightenment are thinkers such as Voltaire, Montesquieu, Adam Smith, Swift, Hume, Kant, G.E. Lessing, Beccaria, and in the United States, Thomas Paine, Thomas Jefferson, and Benjamin Franklin. Rousseau had inspired the French revolutionists and had influenced Kant, Goethe, Robespierre, and Tolstoy. The Romantics are associated with belief in a return to nature and in the innate goodness of man. In response to a question set by the Academy of Dijon: “What is the origin of the inequality among men and is it justified by natural law?”, Rousseau(1754) proposed that natural man is good. He traced the successive stages by which man has descended from primitive innocence to corrupt sophistication. He exonerated nature and blamed society for the emergence of vices. He maintained that human beings are essentially ‘good’ and ‘equal’ in the ‘State of Nature’, but are corrupted by the introduction of property, agriculture, science, and commerce when people began to compete with one another. In his view, the history of man’s life on earth has been a history of decay. However, he did not advocate a return to the state of nature. He suggested minimizing social inequalities by explaining the concept of ‘Social Contract'(1762). He held that people entered into a “Social Contract” among themselves, establishing governments, and educational systems to correct the inequalities brought about by the rise of civilization. Thus, ‘Social Contract’ is the agreement by which human beings are said to have abandoned the ‘State of Nature’ in order to form society in which they now live. This belief in man’s natural goodness is the cornerstone of Rousseau’s argument. The problem is that of man’s alienation from nature and hence the loss of innocence. “Man was born free, but he is everywhere in chains.” Rousseau had profound impact on people’s way of life. In his novel Emile(1762), Rousseau expounds his theory that the true purpose of education is not imparting of knowledge but the drawing out of what is already in the child. Rousseau opened men’s eyes to the beauties of nature and made liberty an object of almost universal aspiration. We have not yet overcome the problem of inequalities among men and man has not yet discovered true freedom. Freedom, and Equality cannot be discovered if man remains alienated from his true or real nature. To achieve Whole Equality, Whole Liberty, Whole Freedom, Whole Justice, Whole Peace, Whole Harmony, and Whole Tranquility, men need the concept called ‘Whole Dude’ to formulate a new Whole Contract to establish Whole Governance based upon Whole Democracy that includes Whole Transparency, and Whole Accountability.